Here at Forced Aire we believe that no matter what size company, business, or organization we can help you save money on utility cost, and keep you focused on your goals. A commercial Maintenance Program from Forced Aire will cover your Heating, Cooling, and even Geothermal needs. During our commercial maintenance service we will perform a 24 point check covering things like motors, belts, and changing air filters. When you contact Forced Aire you are going to be talking to an expert that will help you achieve the correct repair every time. In the event that a repair be needed, as a member of of maintenance program special pricing is available. Our highly skilled Associates service ALL types and brands of equipment. Whether it is a Rooftop system, Furnace, or even Ducting we are able to provide you with the knowledge and skills to complete any repair, and keep your business or organization worry free as quickly as possible. 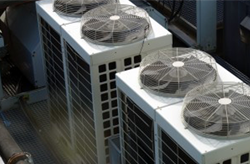 If your system is in need of replacement our Forced Aire is the HVAC provider of choice. We pride ourself on being the best in the industry, and setting the standard. We have a team of highly skilled and trained Craftsman working alongside us. Our team is here to educate you on the most current and energy saving systems available. We will assist you in making the right choice for your needs and have a new system in place quickly so you can stay focused on what matters most to you. Although our customers vary from size and industry we currently service Daycare centers, Sports complex, Restaurants, Retail stores and many more. Participants in the Energy Efficiency Alliance are key to helping Rocky Mountain Power business customers be wattsmart by saving energy and money with our energy efficiency programs such as FinAnswer Express. The Energy Efficiency Alliance is collaboration between Rocky Mountain Power and local contractors, distributors, manufacturers and other vendors to promote the installation of energy-efficient equipment. Advantages to participating include: improved visibility, qualified business leads, incentive program training and calculation tools, marketing support and notifications of program updates.